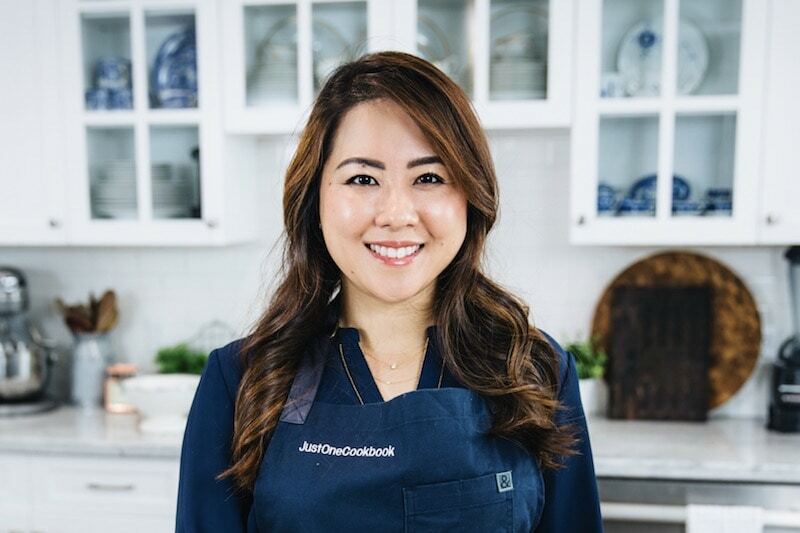 Before strawberry season is over, I have two more strawberry recipes, including this one, to share with you. It’s been so difficult to decide what two recipes to share every week. I have several recipes that I cooked and photographed but haven’t had the time to edit or write to make them into a post. Hopefully when both of my children go to school for the whole day, I can post my recipes more frequently (but that will not happen for another 2 years…). Until this year I have never made Strawberry Sauce for our pancakes or waffles and I’ve had indulged myself with the fresh fruit sauce only at restaurants. If you are like me, I highly recommend you would make this sauce because it’s easy to make and so delicious! By the way, do you cut off the top part of strawberries before enjoying? Actually I used to do that. Then one day when my husband was preparing fresh strawberries for my children to eat, I saw him hulled the strawberries in a correct manner. I was shocked to see how easily and quickly he did it and wasted very little of the strawberries. I found this handy video which shows how to use a knife to hull strawberries with one quick motion, just like how my husband does it! Well, probably you are already doing this way, but just in case you haven’t, it’s a pretty neat way right? Have a great weekend! 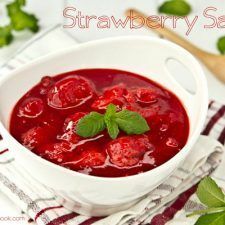 Delicious strawberry sauce made with fresh summer strawberries, perfect with pancakes, waffles, and ice cream. 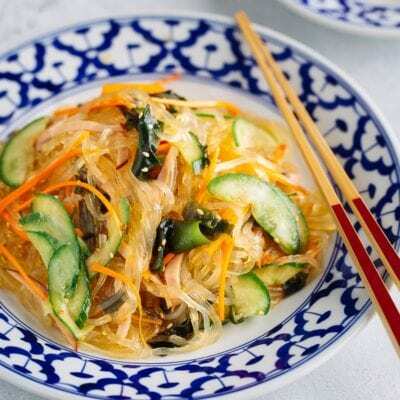 Delicious and perfect with rice/tapioca pudding! I prefer cooked strawberries to raw strawberries. Yum! I can have it on Ice cream, cheesecake, chocolate cake, on my apple pie …. Someone stop me please. Your strawberry compote look beautiful and sound so delicious! So that’s how you hull strawberries correctly! Haha, i used to cut the tops too…: p thanks for that tip, really handy. I also have a box of strawberries sitting in the fridge, was just gonna throw it into the blender to make smoothie. But now i will make compote instead, such a treat. Thanks Nami . Sorry Nami, there is no way I can keep this sauce for the pancake recipe – it’s just too delicious! What a gorgeous color, Nami! Absolutely beautiful. 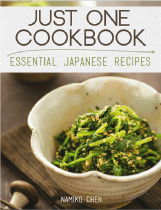 Strawberries are already out of season for me but I’m going to bookmark this nonetheless! I love all sorts of compotes! I use them everywhere! Hugs Nami! 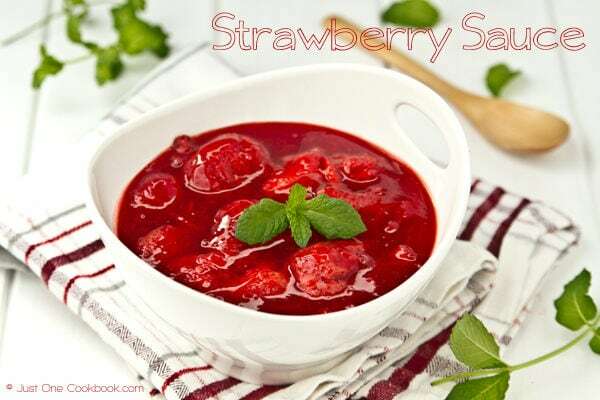 I love strawberries and this compote would go perfectly with a scoop of yogurt! What a lovely sauce Nami and so beautifully vibrant and bright! This is a gorgeous sauce. I love the deep red color. So inviting and yum! What vibrant photos, Nami. Wonderful. I discovered hulling strawberries when my Mum bought me this little gadget like giant tweezers and ever since then, there’s not much wastage. This sauce looks so good I’d need to make extra helpings to eat it by the bucket! So summery. I don’t think this sauce would last a week in my fridge so I’ll never know how long it would last. We love strawberry everything. 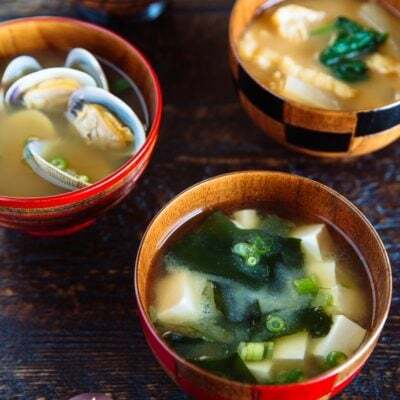 This looks really good, Nami! 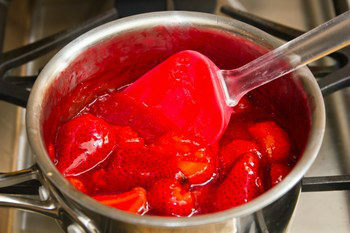 Your strawberry compote looks so luscious and yummy! You never stop tempting me with all your delicious photos and recipes! Oh yum! I can see this on so many things to enjoy – pound cake, ice cream, bagel with cream cheese! Gosh, just look at those red hot strawberries! Love the colour, dear! I could almost taste the sweetness from here. As much as I want some cooler weather to come our way… I will miss all the wonderful bounty of summer. Strawberries are truly the best…. and this sauce/compote is gorgeous. Sadly our strawberry season has passed, but this looks fantastic! What a gorgeous sauce! I want to spoon this over everything, it’s just perfect :). Can’t wait to see your next strawberry creation! Thank you for the tutorial. I’m glad you cleared this matter up because I’ve also seen strawberries hulled with a drinking straw? Your strawberry sauce is stunning, Nami! I can eating it straight from the pot in addition to spooning it over pancakes and other treats. This is perfect! I needed to sub in strawberries for a raspberry compote I’m making. It’s so red and so inviting Nami! I will pour this everywhere, not just on pancakes and waffles. Vanilla ice cream comes to mind! Yum! Loving the red color and I hate the fact that berry season is coming to an end! I usually don’t put corn starch .. will try next time. Nami – Love that red! Makes me want to dive in it! Splendid! Thank you for sharing. 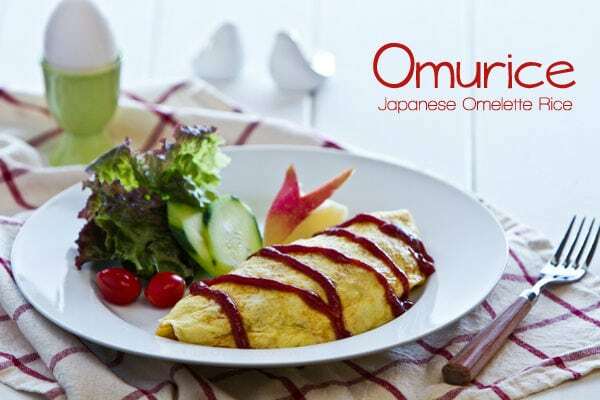 Nami, I would much rather have this over my waffles and pancakes than maple syrup! 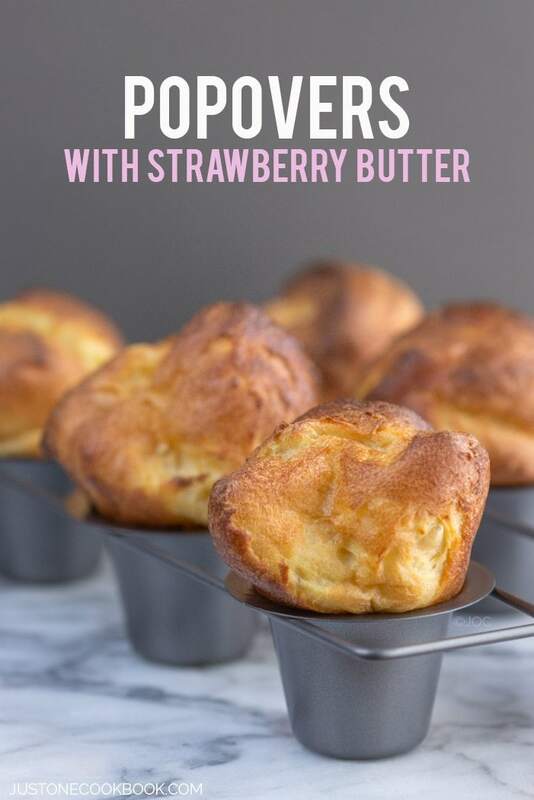 What a simple, delicious recipe…I need to make this next time we have guests for breakfast! Bet the kids love that! I totally need to hull strawberries like that. I waste so much! As for this strawberry sauce – YUM! I seriously want to put this on everything, especially some of that vanilla ice cream that I have sitting around in the freezer! 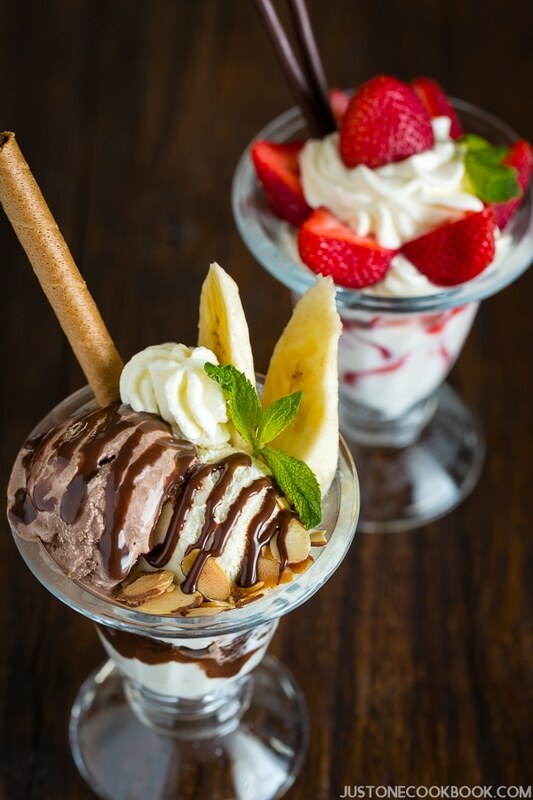 I am in love with your strawberry sauce…what a beautiful pictures! 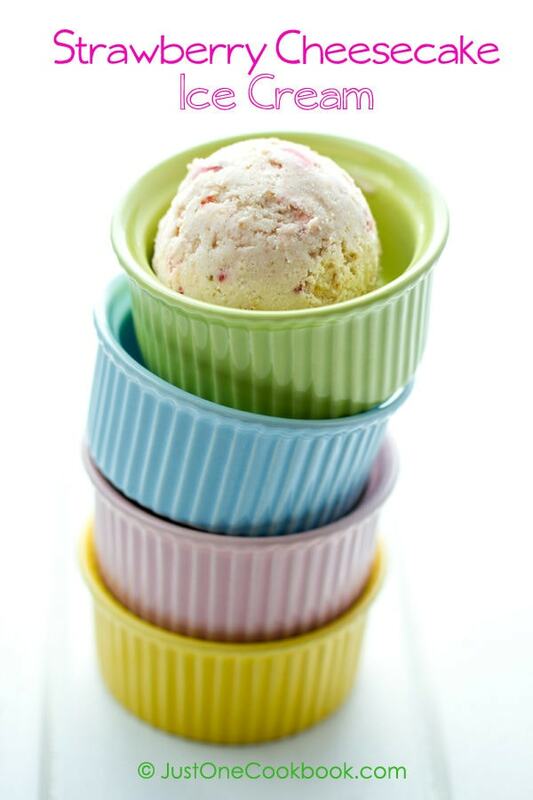 I want this for my pancakes, crepes, ice-cream…just beautiful and tasty!!! 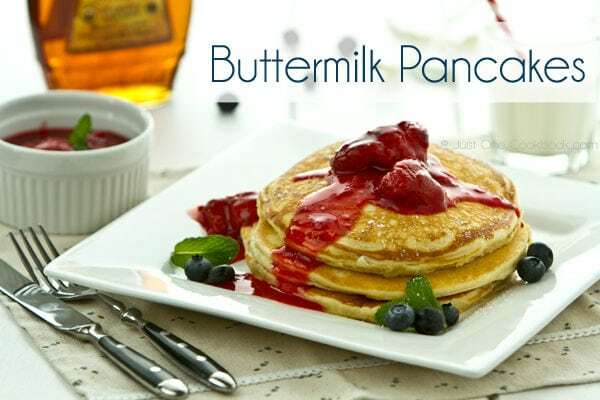 Can’t wait to see your pancake post…by the way great video!!!! What a gorgeous color of the strawberry compote! I obviously had been wasting a lot of strawberry! Thanks for providing the video. It’s only taken me a lot of years to see I’ve been doing it wrong. 🙂 I love putting strawberry sauce on pancakes, waffles and crepes, but mine doesn’t use lemon zest. LOVE that! Great looking sauce and I know it tastes wonderful! 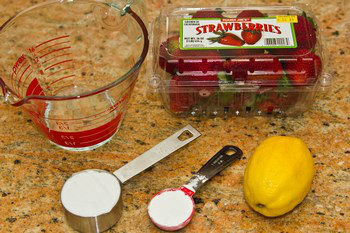 I just started baking fruit sauce for pancakes just this year too! And I didn`t know you can hull strawberries like this…I saw a top where you just poke a straw from the bottom end of the strawberry, to remove the hull and the leaves at the top altogether. So, i`ve been doing it that way. Yum… absolutely waiting for your pancake post. Nami, I could look and look at these photos all day… It’s impossible to take my eyes off such a tempting bowl of strawberry sauce. Thanks for the hulling tip! Amazing color! Can you taste the cornstarch or does the fruit cover it completely? Nami, your photos are so gorgeously lush! I can taste how juicy and sweet those strawberries are! This look so tasty! I would love this on pancakes. Unfortunately, our strawberry season is over here. Nami this looks so so good!! I wish I had saw it when I was still in the states and was able to get strawberries!!! I would love this over some vanilla ice cream! Oooh that is perfect on french toast too! 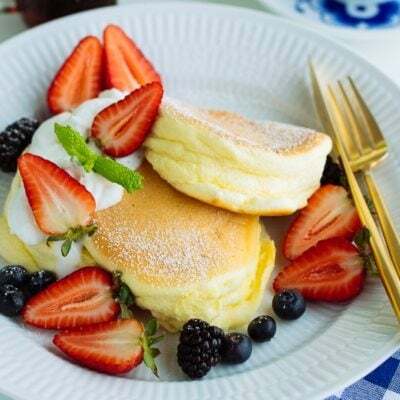 I can’t wait for your pancake recipe…I wonder if it’s the Japanese hotcake style. Love those. 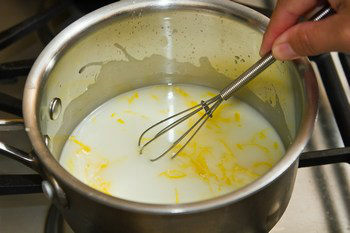 I recently made a sauce like this for ice cream and was amazed at how easy and delicious it was. Yours looks fabulous. Have a great weekend. Looks fantastic Nami! A lovely fresh and sweet bite for breakfast. This looks delicious. Hi Nami! I know it’s been forever!!! I have still checked in with your blog from time to time and it always makes me smile to see your beautiful posts. Your energy and talent for blogging is inspiration for me. :). I just dusted the cobwebs off my blog and hope to be back at it now that the kids are starting school next week. This sauce looks lovely. Isn’t it funny how sometimes something that is so easy to prepare is SO good?! Hi Nami – what a gorgeous looking sauce. 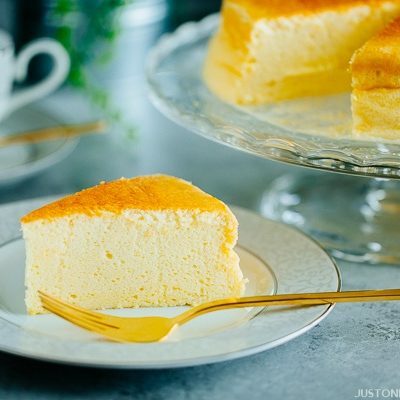 So rich in colour – very timely too… I’m planning on making a cheesecake over the weekend to take to work so I might use this idea! I had heard of that hulling method, but I’ve always found it strange… how tough can the centre of a strawberry be that a whole plug needs to be taken out? I just pull off the leaves and then cut away the very tiniest top part where the green ends. I can see using this sauce on so many things but yes, pancakes, definitely! Or maybe I can just eat this by the spoonful–that would work! Berry compote is so versatile, can be used in many varieties of desserts and taste so refreshing and delicious! 😀 Your photo looks beautiful Nami, my berry compote didn’t turn out as good as yours, although I used frozen berries instead of fresh…. that looks good, Nami – good with vanilla icecream, I would say. although, I’m not quite such a fan as I really ought to be – after getting too excited and completely over-doing it at a pick-you-own farm the first summer we were here. can you get sick on strawberries? yes you can! hahah! Nami, your strawberry sauce looks amazing! I’d love it on some vanilla ice-cream! What a great color. Nice photos Nami! I’m sure it tastes wonderful with the lemon zest addition. I used to core my strawberries, but now I just pull off the leaves/stem and eat the whole thing. 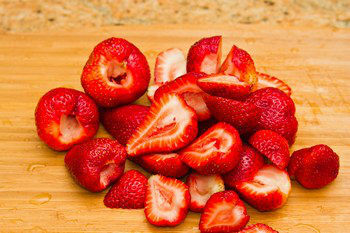 If the strawberries are ripe, the core should be soft enough to eat. I bet this sauce would even go well on chicken. Will try it out this week. Thanks! 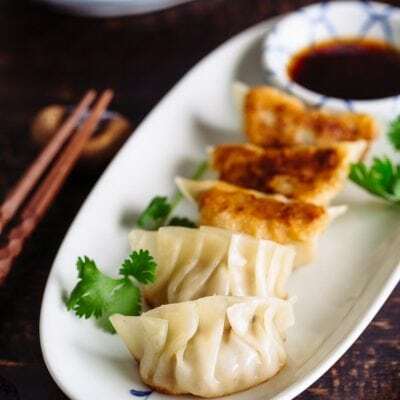 gorgeous photos and the sauce really sounds delicious! love it! Okay this is stunning. I completely love this recipe. The photos are so bright and pretty. 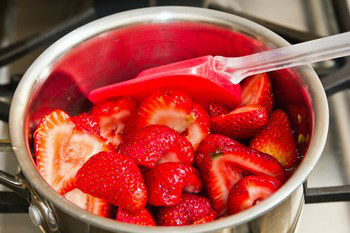 What a beautiful vibrant sauce, a wonderful way to showcase strawberries! ooo such a beautiful bright red! 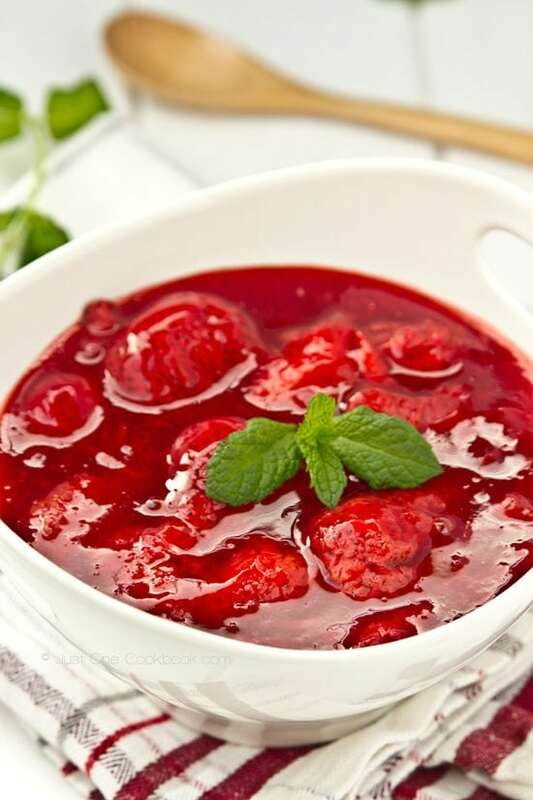 Nami, strawberry sauce is such a handy recipe to have on hand – the kids love fruit sauces, such as cherry sauce, we enjoy them mostly with rice pudding. 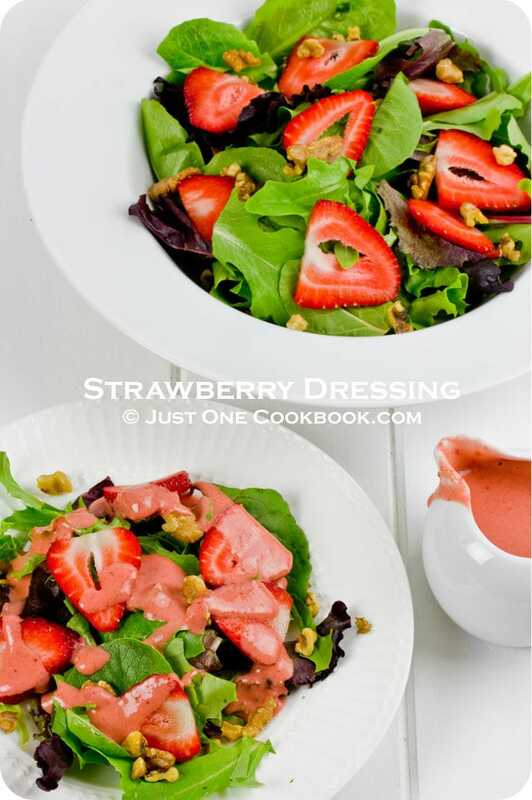 Beautiful pictures of one delicious sauce – strawberry season in over too soon! This is such a pretty color Nami, I bet it freezes well too. Love that strawberry trick! Lovely sauce, darling. So beautiful! This strawberry sauce looks amazing. I love how it’s so rich and thick with strawberries. Thanks for the link to that video! I kinda sorta knew there was a better way to hull strawberries rather than cut off the top, but never bothered to learn it. Now I know! And I’ll always do it the right way in the future. And strawberries are wonderful in strawberry sauce – we actually made some yesterday. I sometimes add a pinch of salt to help sharpen the flavor a bit. Nice post – thanks. Ooh the strawberries are coming into season here! 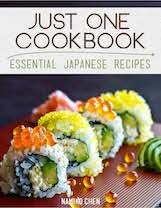 Thanks for the great recipe, I am definitely making this! I want to make this and just admire the beautiful bowl full of compote. 🙂 The colours are so vibrantly red. This would not make it to the breakfast table or ice cream…but a spoon full right in the mouth. I use my grandmother’s ‘tweezer’ huller. But neat trick to do it properly. So beautiful! That color is stunning! Wow this is a treat for the eyes! I can use this sauce for many dishes. This would impress a lot of friends at a dinner party. This looks gorgeous and I can almost taste the strawberry! 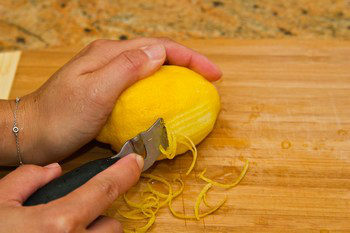 Never knew people added lemon when making this! Yum, I’m thinking that would be great right now on some ice cream. Or cheesecake. Or by itself! Your strawberry sauce is nice and simple to make. I can see this on savory dishes as well like chicken or fish. Thanks for sharing. Yum-o. Made this today. So yummy. Had it over biscuits. Thank you so much! Oh my gosh, that looks crazy delicious. I love strawberries…it’s a close race between them and raspberries as my favorite fruit. Strawberry sauce over pancakes or waffles sounds like supper just waiting to be had. As soon as our berry patch is ready, I’ll be out there picking and this recipe will be waiting to be made. hi nami! your strawberry sauce looks so beautiful and vibrant red! i made this the other day but it didn’t come out so red. 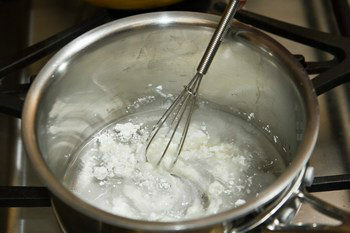 then again i had no cornstarch and had to use flour, haha! Love strawberry compote. I’ve used this recipe when also making blueberry or raspberry compote. Just delicious. I use it in my oatmeal, on pancakes, waffles, and french toast or even when making with crumble. 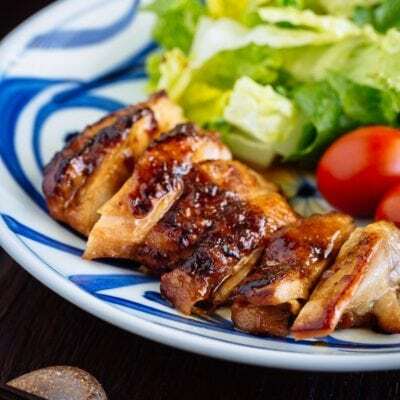 Just delicious~!!! does this recipe apply to other berries? like blueberry or raspberry? I just discovered strawberry compote and made my easy version using only strawberries and some spices. I will try adding corn starch next time to thicken it. So yumms! I think they will taste so yummy on waffles and maybe even on banana nice cream!! Really great I recommend putting less sugar I did about a half tablespoon of stevia and sugar and it tased perfect any more would have been too sweet. 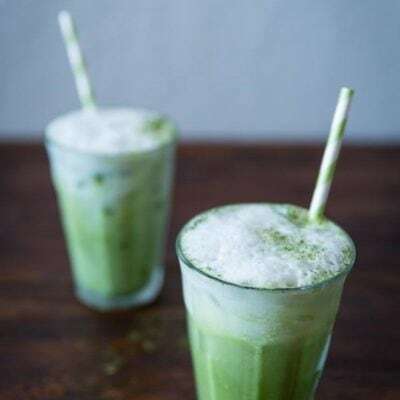 This might have been that I was using part Stevia but, overall this was a great recipe I would make it again with pancakes instead this time I made it for putting into yougut. Hi Ivy! Thank you so much for the kind feedback. I’ve never used stevia but I’m glad you found the perfect sweetness to your liking. 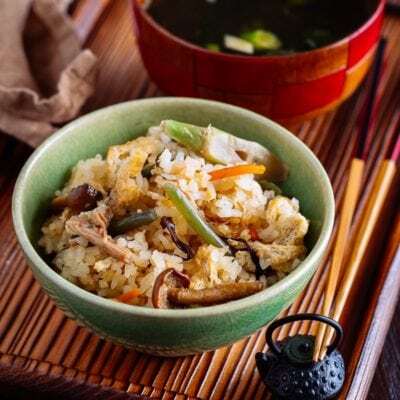 Thank you for sharing that with us and trying this recipe!